The PP200 Inkjet Passport printer is actually the only 6 color Document Printer worldwide with possibility to individual print two UV colors separately. The additional UV colors can be printed simultaneous to the visible colors giving an additional security on the Personalization and Passport issuing. With the PP200 every Visa Page of the Passport can be printed e.g, observation pages etc. 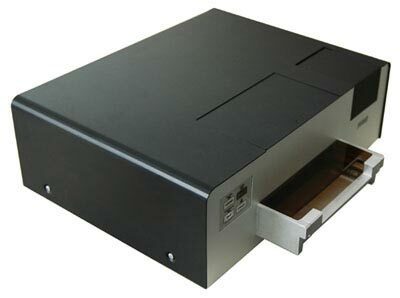 The ePassport printer has an integrated RFID module for reading and writing of RFID chips according ICAO recommendations. Printing of the Data Page is taking less then 20 seconds. 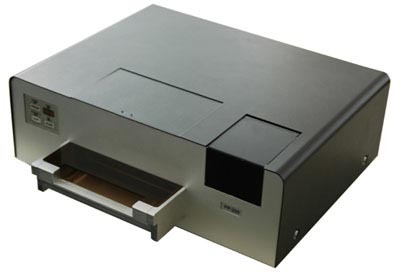 The Printer has USB2 connection and can be connected to the VDR-C eDocument Reader. In this combination basic data can be automatically copied from a >previous< Passport or ID document. Printing is only possible after successful verification of the traveler's >previous< document or legally issued application form. A unique (Patent pending) UV and blue light LED bar is integrated for instant verification of the UV printing.